(Bloomberg) -- Modern Monetary Theory is getting validation from some Wall Street economists even as it’s slammed by others for offering a “free lunch,” another sign the progressive school of thought is gaining traction. Goldman Sachs Group Inc.’s chief economist, Jan Hatzius, was among analysts who released research Monday on the theory. MMT has come under the spotlight in recent months as left-leaning politicians including Alexandria Ocasio-Cortez pitch it as a way to fund ambitious social programs. The core idea is that countries that print their own currency, such as the U.S., can expand government debt beyond what’s generally seen as acceptable. Without endorsing MMT in its entirety, “we think its proponents make a couple of points that are both correct and important,” Hatzius wrote. One of them, he said, is that countries like the U.S. and Japan can’t go broke because they print their own money. Hatzius also said that in recent decades, it’s been buildups of corporate or household debt rather than public borrowing that triggered financial crises -- echoing an MMT argument that when governments run deficits, they’re typically allowing private actors to accumulate assets. “We are therefore more reassured by the U.S. private sector surplus than we are concerned by the public sector deficit,” Hatzius said. Finance heavyweights from Federal Reserve Chairman Jerome Powell to billionaire investor Warren Buffett have criticized MMT in recent months, warning that it opens the way to excessive government spending that could trigger hyperinflation. Yet there’s also been support for the idea that increased government spending could help stimulate the economy during a period of low inflation and interest rates, and weak growth expectations. Standard Chartered Plc’s Steve Englander floated the idea that MMT ideas could have an impact on asset prices as early as the first quarter of next year, if a progressive Democrat who’s adopted them emerges as a leading presidential contender. He said that if it’s applied during an expansion, the framework would likely hurt equity prices and could lead to a “perhaps significantly weaker” currency. “Market reaction might be friendlier” during a sharp downturn, when money-financed government spending could help to buoy stocks and other assets, Englander said in a note Monday. 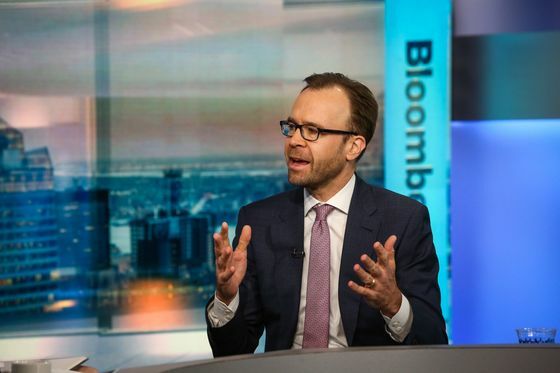 In those circumstances, a softer form of MMT “would be more effective in raising inflation expectations and nominal rates than other proposals that central banks are now considering,” he said. Harris said there’s a parallel between MMT and the supply-side economics underlying President Donald Trump’s tax cuts, which have widened the U.S. budget deficit: Both ideas hit on “core truths” but tend to turn into promises of a free lunch when they’re adopted by politicians. “A theory that argues for both zero interest rates and large budget deficits seems a bit too good to be true,” Harris said.